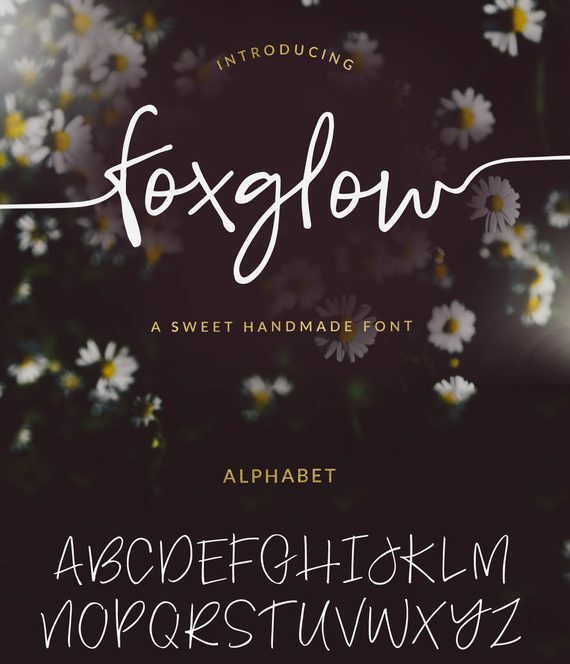 Foxglow Font is a handwritten typeface created by Angie Makes which was designed to be suitable any kind of project from wedding invitations to websites. It is an Opentype font with tons of features. Enjoy! A font description published on Tuesday, October 18th, 2016 in Angie Makes, Fonts by Alexandra that has 8,157 views.